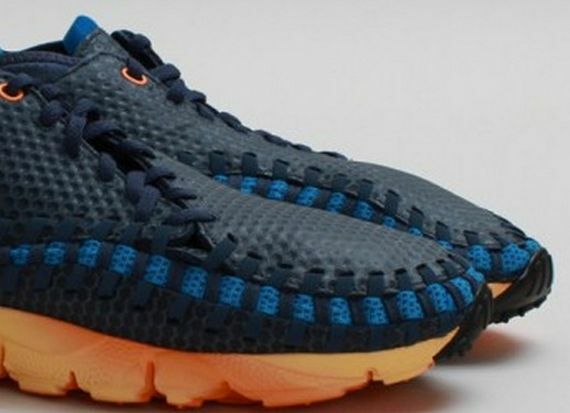 Nike Air Footscape Woven Chukka - "Squadron Blue"
The Air Footscape has been one of Nike’s most polarizing releases as of late, and this latest “Squadron Blue” rendition is sure to get mouths moving (or fingers typing) once again. Seen here in a somewhat toned-down look, the Chukka receives a dark, “Squadron” blue upper with a lighter accent via the stripe running throughout, with a bold slab of mango orange serving as the midsole and eyelet accent. 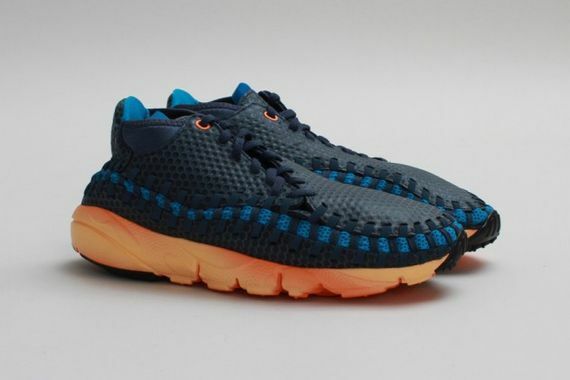 Good news for Footscape fanatics, these bad boys have hit shelves already and are ready to cop. More photos after the jump.